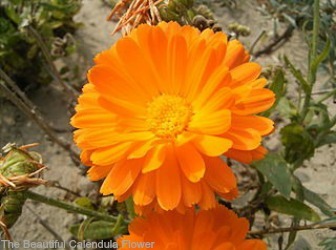 Calendula essential oil comes from the calendula plant. Also known as Garden Marigold or Pot Marigold. The plant is found mainly in Europe and North America. The oil is well known for helping with different skin ailments. Especially as it is a great natural anti inflammatory. It has many properties that may help with the management and treatment of your eczema. Calendula essential oil can be used topically, to help manage your eczema, in a few different ways. You can make your own calendula oil at home. You use the calendula flower. The Latin name is Calendula officinalis. They are infused, or soaked, in either olive or sunflower oil. If you are going to use the oil to help with your eczema, then olive oil tends to be recommended. It is good for dry and damaged skin. As the oil is natural it is rare to have any side effects, or for it to cause any irritation. It is safe to use on children. It is recommended to avoid using externally or taking internally, if you are pregnant. As well as eczema, calendula can help with many more conditions. It is definitely a multi talented essential oil. It can help with cuts, insect bites, burns, and a whole lot more. If you have children, whether they have eczema or not, a calendula cream or ointment would be a welcome addition to your first aid box.